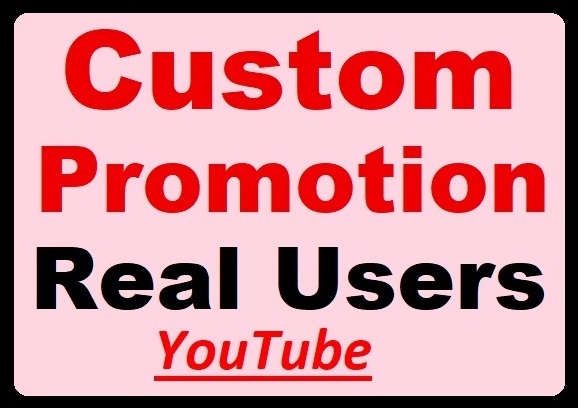 Get instant, 30+ Video Comments or 500+ Views or 50+ Channel Subscribers or 50+ Likes Real Promotion just for $2. Hello Buyers, This is SEOKeeper98, expertise on SEO, SMM. 100% Selling Rate Top Rated Seller Level=3 on SEOClerks. A lot of Orders Completed Experience. This is 'Buyers Choice' custom service. You can choose anyone of following those! For anymore Social Media Promotion and SEO friendly Services FB, TW, Souncl., Redit, Quora, Tumblr, YT, Google, check our Service Dashboard or Contact Here for order links and prices. Our SMM Expert team will try the best to provide you the exact services as always! • Comments from Real Users; also have Profile Picture. • Every Comments are coming from different accounts. • You can Send your choices Comments list. #. Real Visitors throughout Social Media will help to Rank the Videos and Channel. #. Unique Traffic, World-Wide Viewers. #. Good Retention and Quality Views. *Subscribers, Comments, Likes are coming from active, verified accounts. *Real Subscribers will help to provide more followers. *Work procedure in right way, so your Channel and Videos will be Safe. *24 hours online to support and serve you also after delivery. N.B. If you have any question, requirements, if see any issue, for any Cooperation, please Contact Here.. Custom Video Promotion via Real Users, High-quality services is ranked 5 out of 5. Based on 476 user reviews.